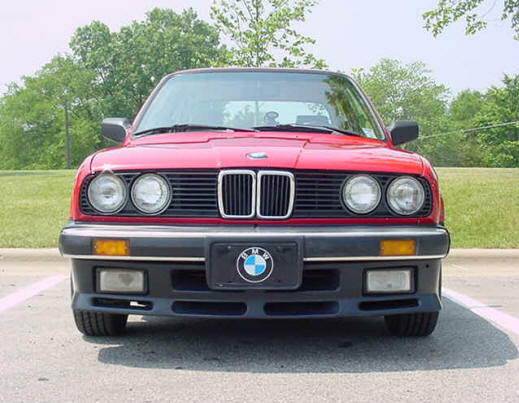 This is a white 1989 325iX. Everything else is for sale, including a partial tool kit, all interior trim, steering wheel, washer pump & sender unit, all engine parts, etc. PM me for prices & shipping costs. PayPal only please. Could I get pic's of car from every corner. I need several items. hi...how much for your air flow meter??? The instrument cluster is long gone as is the knee bolster. The Air Flow Meter is pretty much brand new. It was replaced shortly before the accident. BUT--- it had something pushed up against it in the accident and has a little ding on the curved part of the body. That MAY be keeping the little flap or door from moving all the way. Frankly, I am not sure. It has not been tested. If you want to take a shot at it, I'd sell it pretty cheap. Like $20 plus $10 shipping. No guarantees though. I may be interested in driver's front door and passenger rear door. Where was it hit and how bad was the damage? I did sell the body but have a lot of interior patrts (door panels, dashboard, switches, etc.) plus engine parts and components. I do have a driver's side sideview mirror. In fact I have white ones and faded red ones. How much shipped & Paypal'd? hey Craig--By any chance do you have the rear window available? If so, are you sure the defroster was working well before the accident? Sorry for the loss btw. Sadly I had to junk all the glass with the body since I did not have the storage room. I have many interior parts, door panels, rear seats,, trim, etc. Plus top half of engine and lots of miscellaneous parts from under the hood. The front end was where the accident occurred, so no valence or fog lamps! And I sold the washer tank and motor a few months ago. Sorry! I seem to have half a garage full of parts, but nothing anyone needs right now! How about a lighted rearview mirror? Do you have both red side view mirrors? Price and ship to 95466? I have a pair of red side view mirrors. They are somewhat faded and have some paint chips -- looks like they were re-painted at some point. I'll let them go cheap. How about $10 each plus flat rate shipping of $9.80 if I can get them both in a flat rate USPS box) for a total of about $30. That includes the rubber mounting gasket.